The Cheltenham Festival is now little more than five weeks away and and that means we have enjoyed another busy weekend of action, with the big races coming thick and fast across the UK as well as in Ireland. Nicky Henderson announced last week that Buveur D'Air would be going back over hurdles and that appeared to be the right decision as the horse won the Contenders Hurdle at Sandown on Saturday in pleasing fashion. Good enough to finish 3rd in a very good Supreme last season, connections have decided to aim this horse at the Champion Hurdle following an aborted chasing career. He didn't beat too much on Saturday in truth but he won it hard held on the bridle and he will now go to Cheltenham in March as a genuine contender for the day one feature. bet365 were impressed enough with Buveur D'Air to cut him from 5/1, into 4/1, for the Champion Hurdle, and with doubts continuing to longer about Faugheen there is every chance he can claim the big win. As well as Buveur D'Air, Nicky Henderson also tasted success at Sandown on Saturday Top Notch claiming the Grade 1 Scilly Isles Novices Chase over 2m4f. The 6YO doesn't look like a natural chaser when you see him but he takes to his fences well and the recent step up in trip to the intermediate distance has suited him down to the ground. The two Paul Nicholls contenders, Clan Des Obeaux and Le Prezien, both had chances on paper but neither were able to live with the class of top Notch. Good enough to finish 5th in a Champion Hurdle, Top Notch has that rare mix of class and stamina in the locker and in the end he pulled comfortably clear of a solid field on Saturday. Top Notch looks ready made for a big run in the JLT Novices Chase and punters can get 7/1, from 16/1, with Ladbrokes about him claiming the win. The Tied Cottage Chase on Sunday wasn't a great spectacle at Punchestown in terms of depth but it did give us the chance to see the best horse in training with Douvan starting as the red hot favourite. 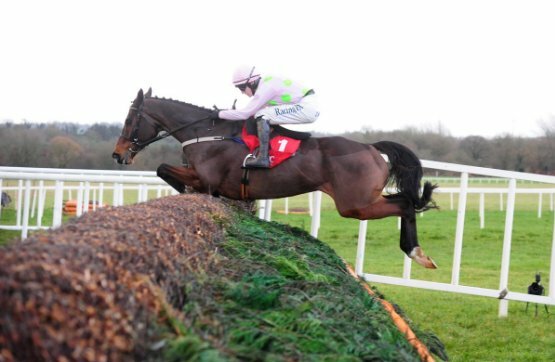 Unbeaten since joining Willie Mullins, Douvan has swept all before him once again this season over fences and he sauntered to another victory this weekend. Still only seven, he jumped with style to beat a very limited field but he could hardly have done it any better. All roads lead to the Queen Mother Champion Chase for the Supreme and Arkle winner now but punters are going to get rich backing him. He is now 1/3f, from 2/5f, with Coral for more Festival glory. Paul Nicholls didn't have a great day at Sandown on Saturday but the Champion Trainer sure did 24 hours later as he enjoyed a stellar afternoon up at Musselburgh. El Bandit is a 16/1 shot for the Pertemps Final having won the qualifier at Musselburgh in good style, whilst San Benedeto will be aimed at the Red Rum Chase at Aintree after he enjoyed the good ground to win the Scottish Champion Chase. One other horse we must mention is Lough Derg Spirit who won the Supreme Scottish Trial Novices's Hurdle. Given a fine front-running ride by Nico De Boinville, the Nicky Henderson trained horse held off a fast finishing Peter The Mayo Man and both horses clearly have talent. The winner has been given quotes of 20/1, from 33/1, by Bet Victor for the Supreme, whilst Peter The Mayo Man remains of interest and 25/1 for the Neptune might attract some support.